Student designers and emerging film talent unite to challenge fashion forms and norms at Beckmans College. The resulting twelve shorts are set to be unveiled on January 28 at the PUB department store in Stockholm, with a virtual online gallery launching to coincide with the exhibition. Among the contributors are YDA winning directing duo Philippe Tempelman and Kian Zubicky, who have buddied with designer Heidi Nilausen to bring her fantasy subculture to life with a bleak pool party. The idea behind the collection is to encourage students to explore their own relationship to the current norms of the fashion world and the way new designs are conceptualized, created and presented. 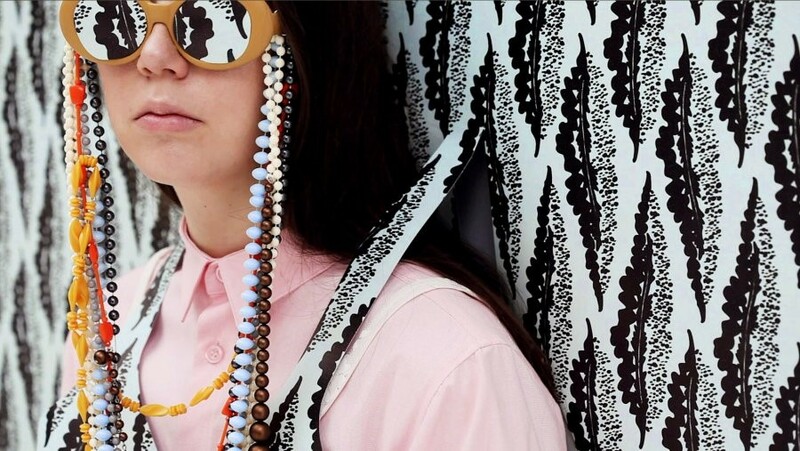 For Elana Becker and Lisa Nyman, the key challenge was to take the bold patterns and sharp tailored cuts of Klara Sjons Nilsson’s pieces and extend their interrogation of the two-dimensional world. All 12 films will be up on the Beckmans site from January 28 but Dazed Digital brings you an exclusive preview of Nilausen and Nilsson’s collections below.